I would now like to get rid of the pre-installed Database of Projects, Clients etc. e.g. any and all pre-installed "evaluation data" but have no clue how to do that. 3. 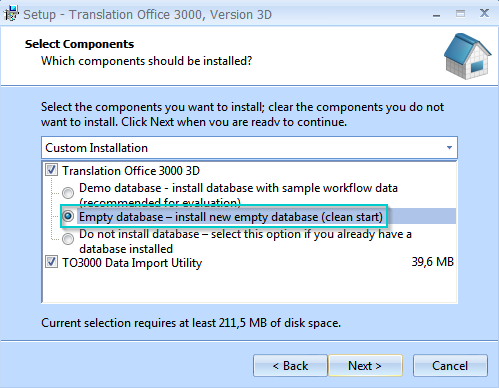 Run the installation file again and choose the "Empty Database" option.